Brownlie had been with Third Lanark for 19 years and had international experience, winning 16 caps for Scotland. He joined Dundee Hibs as Player/Manager in the summer of 1923 and was first choice keeper until he retired in April 1924, but would later return to play in one or two emergency situations. During his first year at Tanndice, he oversaw team matters while the Club changed from Dundee Hibs to Dundee United after their return to the Scottish League set-up. In only his second season in charge, Brownlie pulled off the unthinkable - leading the Club to the Division Two championship and promotion to the top flight for the first time in the Club's history. Dropping down to Division Two again in 1927, he won the title again in 1929, and won United promotion for a third time in 1931 as runners-up. 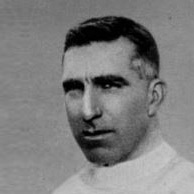 Just weeks after their promotion, the Club took the bizarre step in letting Brownlie go in April 1931 after 8 years as manager, however he would return to manage the side again three years later. After having left the Club in mysterious circumstances in 1931 after 8 years at Tannadice, Brownlie returned to the Managers position in March 1934, when the new owners of the Club brought him back to replace out going manager Willie Reid. Brownlie missed out on a fourth promotion with the Club by just 10 points during the 1934/35 season, but in 1936 the Club hit financial difficulties yet again, with director George Greig taking over the Club's debt and the Managers position. Two years later Brownlie returned to Tannadice once more, and was appointed a Director of Dundee United and took on the role of Manager for a third time, jointly with Sam Irving. This partnership lasted until the outbreak of WW2, when Brownlie announced that he was giving up both roles due to the pressure of his other business interests. After retiring, Brownlie was a regular visitor to Tannadice, rarely missing a home match, and witnessed the Club's return to the top Division in 1960.